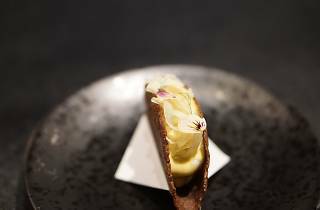 A stylish, Michelin-starred Mexican restaurant replete with decadent and surprising dishes. This Michelin-starred Mexican spot is sleek, but unfussy, from the mirrored, unmarked facade to the neon art in the restroom. With its black walls, low lighting, and vibrant art, the decor matches the food: splurgy and surprising. Slip into the leather banquette or snag a spot at the bar for a view of the open kitchen. 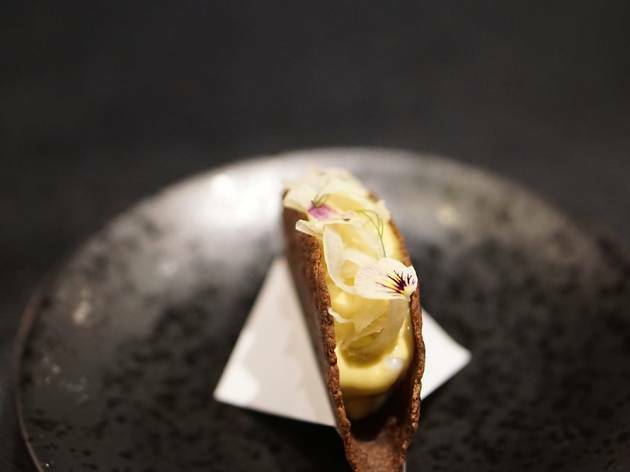 Chef Val Cantu’s decadent, 16-course tasting menu changes seasonal—expect heart-stoppingly rich dishes like lobster tacos, wagyu steak, and foie gras-garnished churros. Splurge for the beverage pairing, which typically includes wine, beer, and cider.